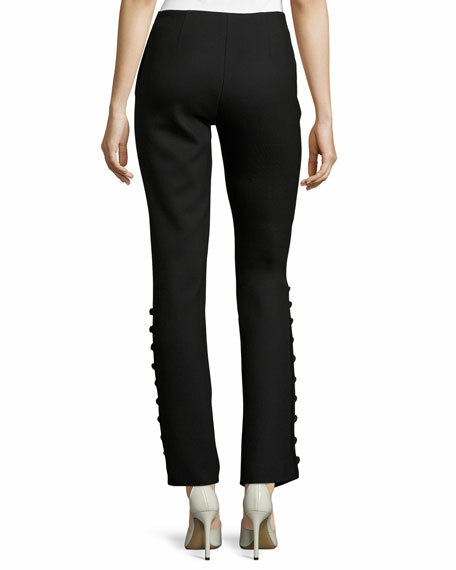 THE ROW "Blaire" pants in stretch wool drill. Button details along outer leg from knee to hem. 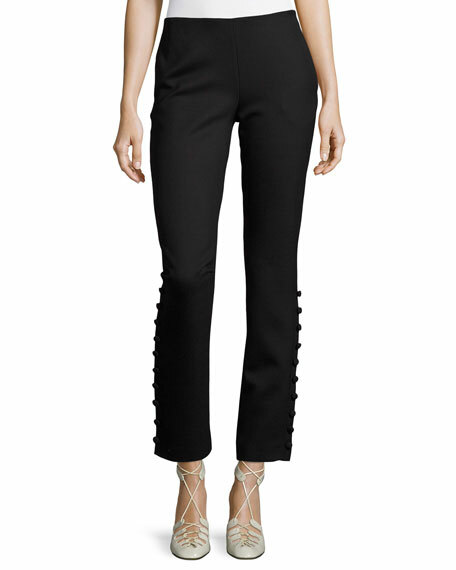 Mid rise; sits below the natural waist. For in-store inquiries, use sku #2164371.